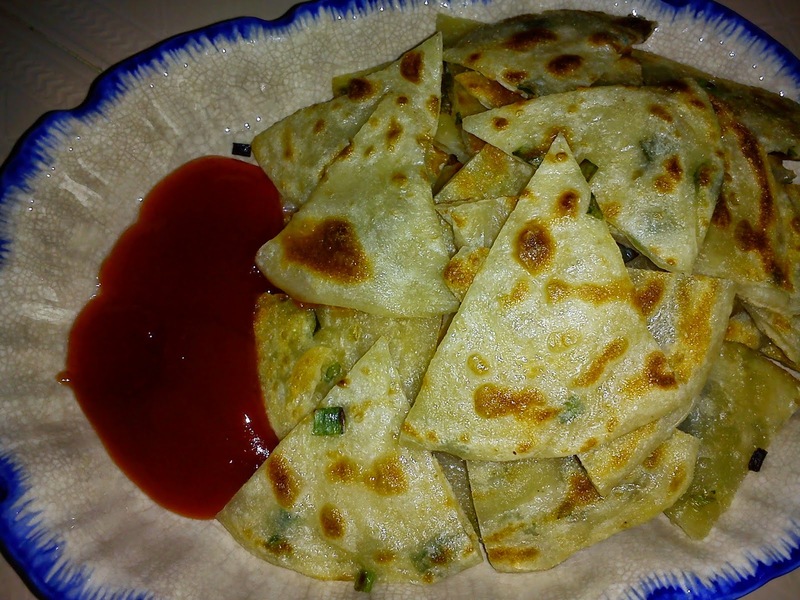 According to Wikipedia, scallion pancake [葱油饼-cōngyóubǐng] is a Chinese savoury, unleavened flatbread folded with oil and minced scallions [green onions]. Unlike Western pancakes, it is made from dough instead of batter. Variations exist on the basic method of preparation that incorporate other flavors and fillings. 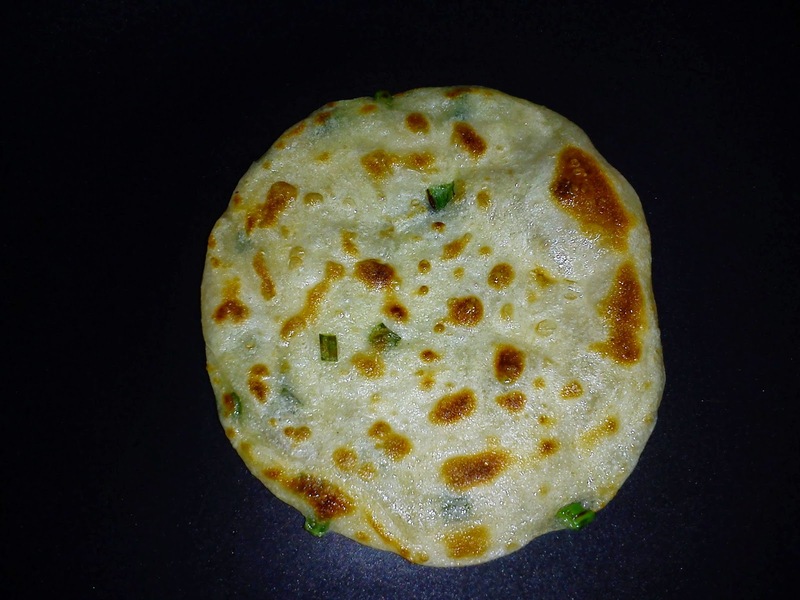 Surprisingly, scallion pancakes are my nephew’s favourite. Used to make these pancakes for him but it was quite a while since I last made them for him. Recently, he commented that it has been a long time I didn’t make him these pancakes. With Ching Ming over and having some free time, I made these pancakes for my nephews. The best part is, I didn’t have to fry them for him. I need only to prepare until Step No. 6 and he takes over the rest when he wanted to indulge in these crispy, fragrant and tasty pancakes. 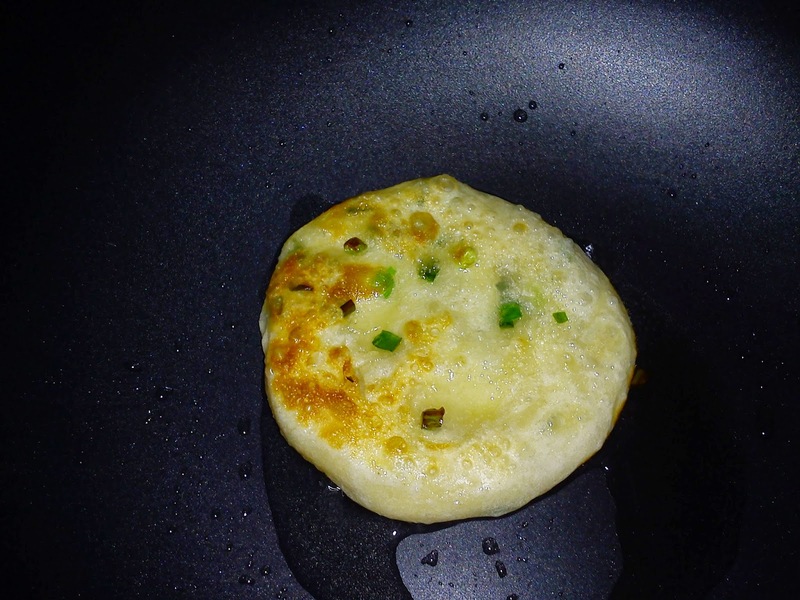 He loves these pancakes a little more salty, peppery and with lots of spring onions/scallions. This I fully agree with him. The pancakes can be made individually or as a whole log then cut into smaller pieces. If you have the time, it would be better to make them piece by piece according to the size that you prefer. Knead rested dough to release air bubbles. Divide into small portions. 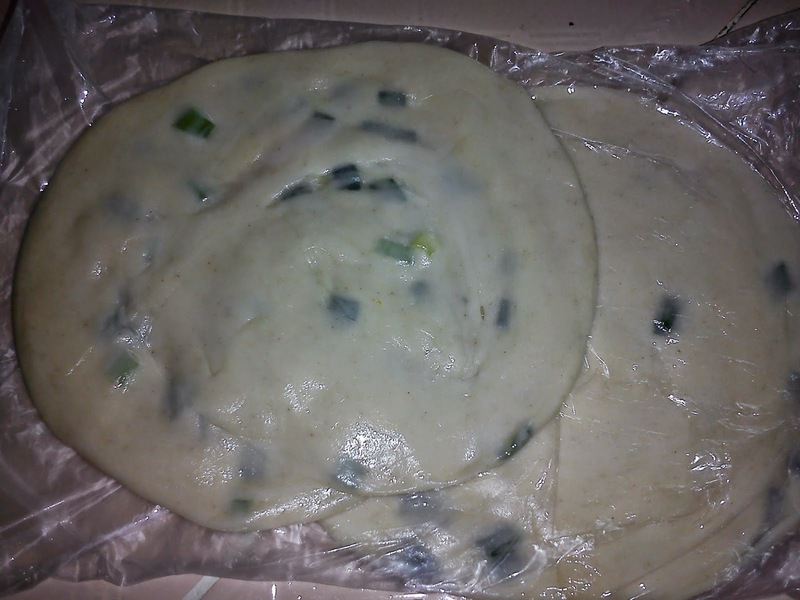 This dough can be used to make Chinese Pancake with sweet paste filling too [click here to see recipe]. 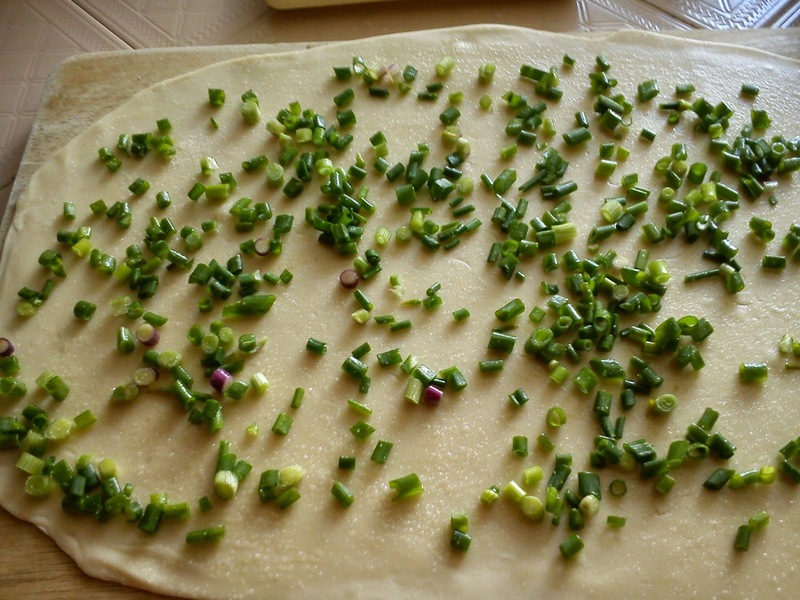 Roll each portion into a rectangle, spread evenly some oil over surface, sprinkle a little salt and pepper followed by spring onions. 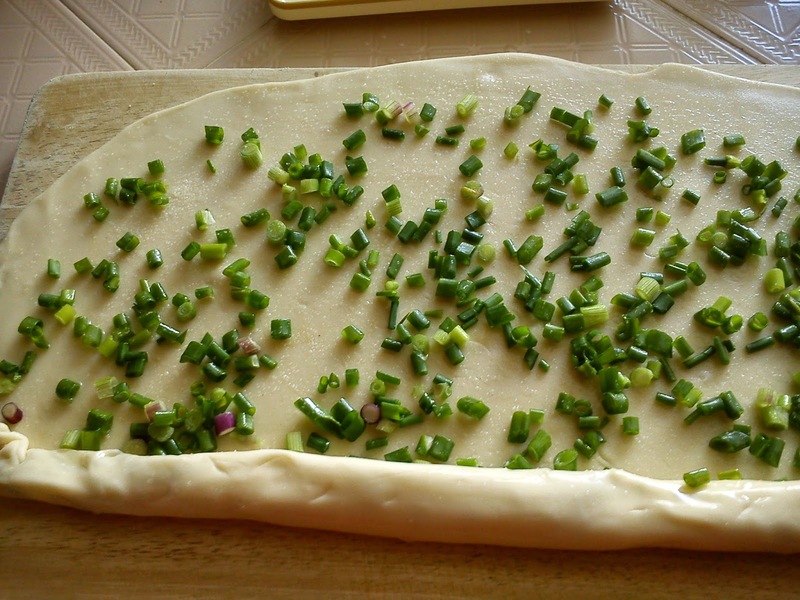 Roll up dough into Swiss roll style, seal the edges then roll into a circular disc. Finish doing the same for the remaining dough. Heat a non-stick pan with oil. 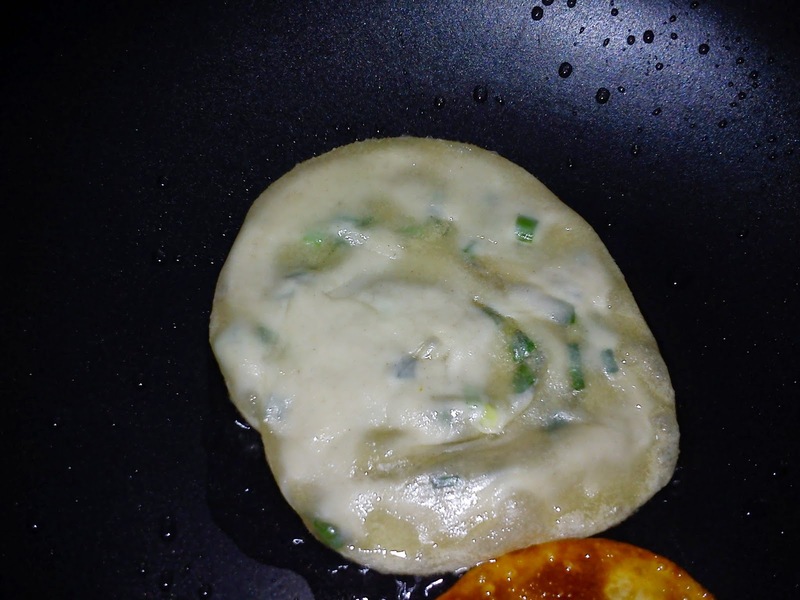 Flatten the scallion pancake and fry it till crispy on one side, flip over to fry the other side until crispy. Remove and place fried pancakes on absorbent paper. To serve, cut pancake into smaller pieces. Serve immediately with chilli sauce. Can keep individual dough pieces in separate greased plastic bags in the fridge for 2 days before frying. Pancakes can be pan fried till cooked but not brown then bake in oven at 200 degrees C for 7-8 minutes before serving. This is my childhood snack. 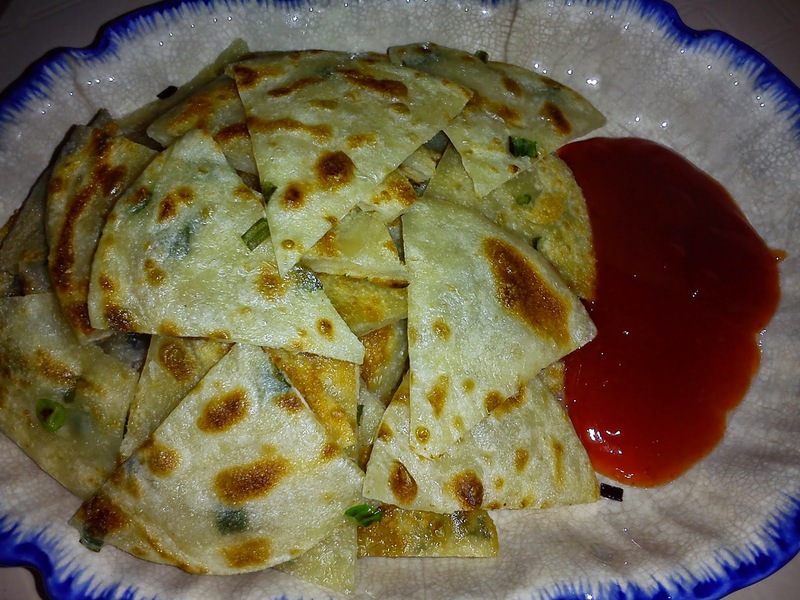 My mum used to cook it whenever we craving for snacks. Simple and yet delicious! Hi Phong Hong, yes addictive I must say. We have this for Sunday light lunch, so easy, just pan fry and eat it right away. I prepared it a day earlier and chilled them. Hi Vivian, my mum never prepare this for us. We used to have the sweet 'mee hoon kuih' for snacks. 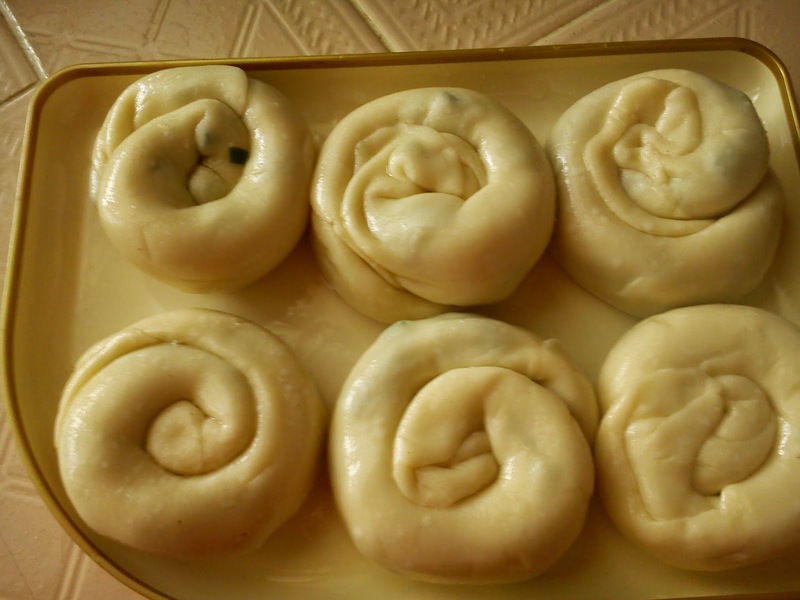 BTW, this dough skin can be used to prepare various kinds of snacks with savoury or sweet fillings. 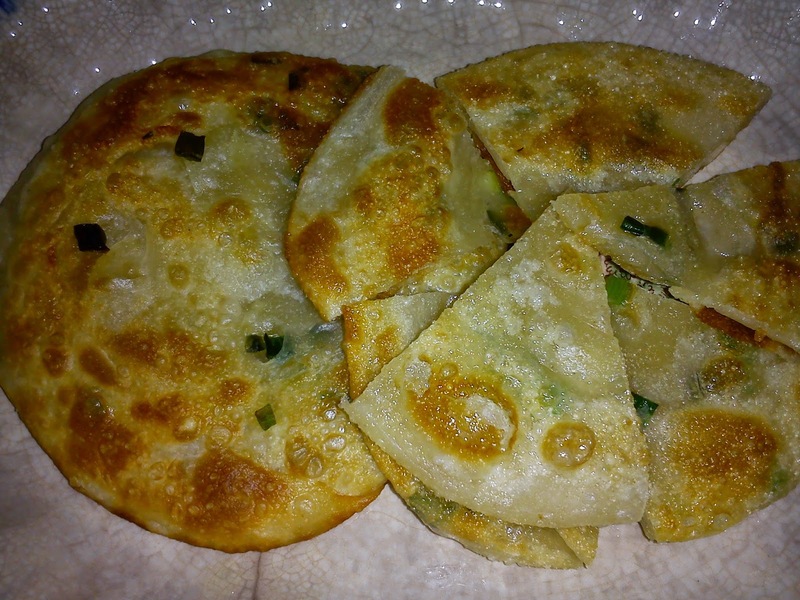 It is quite similar to cooked [tang mian] dough.